In the demo of the Monte theme we have several examples of posts in which you can see 2 or more images aligned side by side. This effect can be created easily if you have the Tiled Gallery feature enabled in Jetpack plugin. 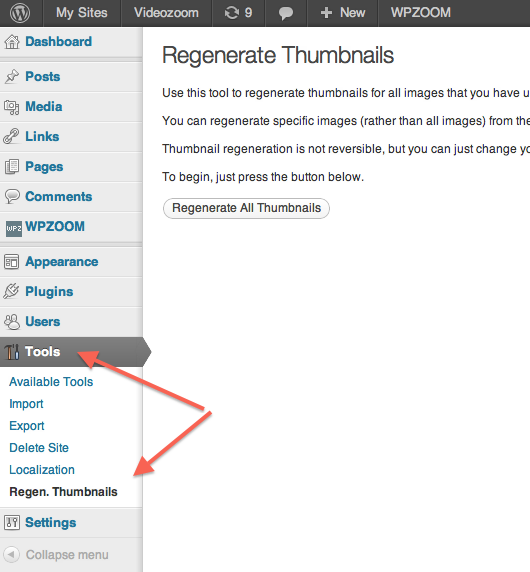 In this tutorial you can find more details on how to enable this feature. Alternatively, you can use the WP Tiles or Tiled Gallery Carousel Without JetPack plugins if you want to stay away from Jetpack. 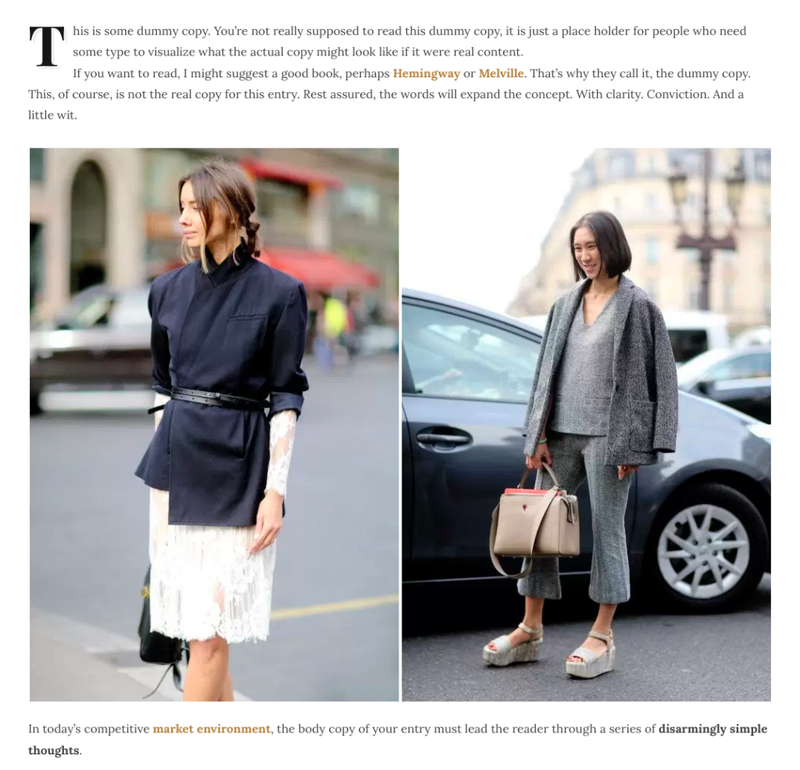 Using the new Block Editor (Gutenberg)? Please look at this tutorial for instructions to activate the Tiled Gallery and how to find the Tiled Gallery block. On the left side, click on the “Create Gallery” link to create a new Gallery. 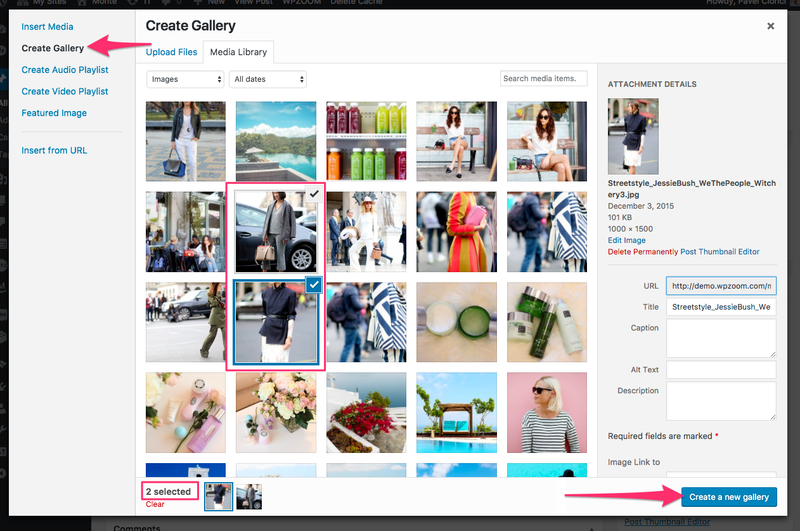 Select 2 or 3 images and click on the “Create a new gallery” button. 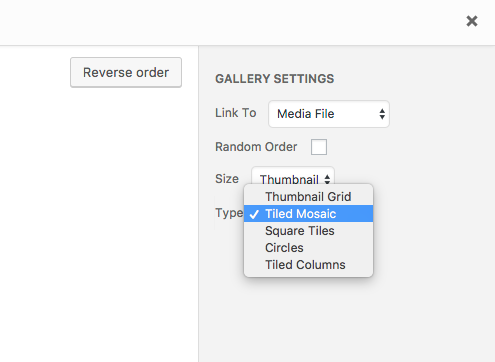 In the final step, find the “Type” dropdown and select “Tiled Mosaic”.